Art Bell: Somewhere in Time returns to May 22, 2018 when guest fireman Richard Picciotto discussed the 9/11 terror attacks and his book Last Man Out. Art Bell Somewhere in Time returns to October 2, 2001 whe guest Sergeant Ralph Sarchie of the New York City Fire Department discusses 9-11, demonology and exorcisms. 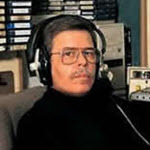 Art Bell: Somewhere in Time returned to 9/27/2001 when remote viewing expert Maj. Ed Dames discussed the tactics his team was taking to remote view the events of 9/11. Art Bell: Somewhere in Time returns to Sept. 28, 2001 when Sean David Morton joined Art to discuss 9-11 and make new post 9-11 predictions. Art Bell: Somewhere in Time returned to September 11, 2001 when the terrible tragedy of the attacks in NYC occurred. Callers from around the world offered their prayers and concerns for the people of New York and the heroes who risked their lives climbing the towers.